One of the best features of Laminate flooring is its versatility. 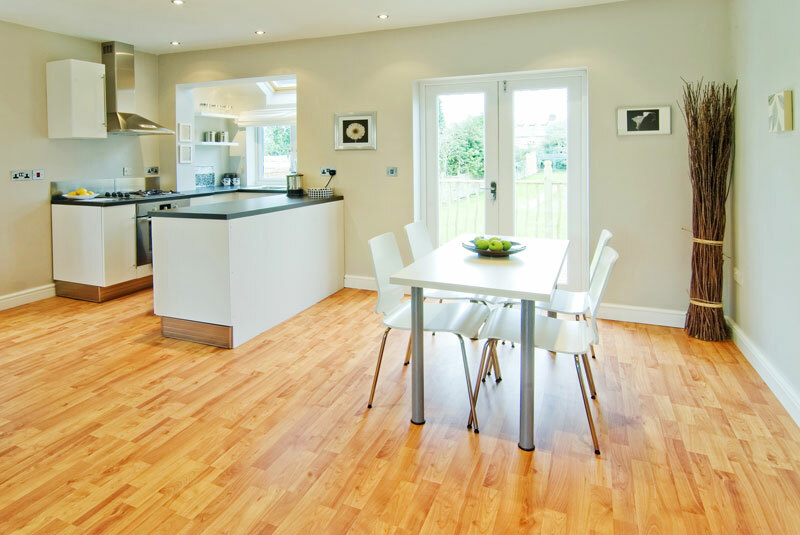 Its beauty and durability makes laminate flooring suitable for any room, such as a high traffic kitchen or even a spare bedroom. Some manufacturers do not warrant the installation of their product in bathrooms, so please consult your manufacturer before proceeding. The companies that do allow for bathroom installations all tend to have specific methods of installation. Always adhere to all manufacturer installation and application instructions. You can install laminates in the upper, main or basement floors of your home or cottage. Due to the floating nature of the product, concerns about moisture levels in basements are eliminated. Planks can be protected from moisture by installing a vapor barrier under the underlay. The most widely accepted moisture barrier is a sheet of 6-mil poly (plastic). All manufacturers have specific requirements for their products, so you should check with your manufacturer before installing the floor. Commercial as well as residential laminate flooring is available. Typically the commercial versions have fewer pattern and color choices to pick from. These industrial laminate floors will often come with a 15-year commercial warranty. Specific limitations will apply, so again, please consult with your local dealer or the manufacturer to see if you qualify for the full warranty. 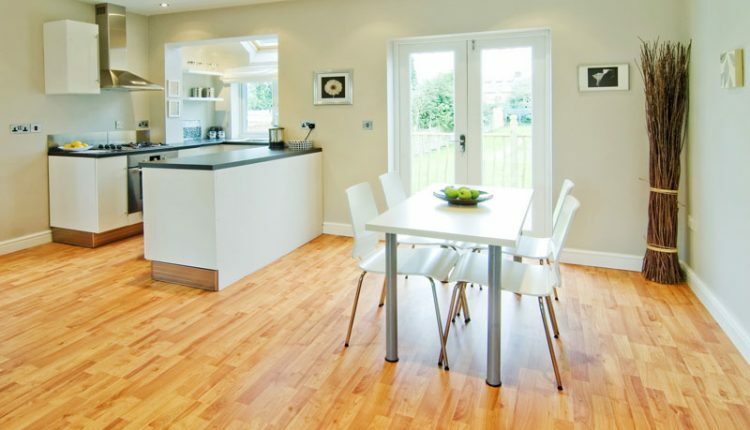 In general laminate flooring is perhaps the most versatile type of flooring on the market today. It is a very durable, and well-constructed product. Many brands carry a lifetime structural warranty and up to a 15 year commercial wear warranty. It is a very attractive and easy floor to maintain. Available as planks and tiles in a wide array of colors, patterns and styles. It can be installed above, below or on grade and can be used in any room in the house and in most commercial areas as well. Laminate flooring exists in many shapes, sizes and colors, but most of all; it is a viable option for almost any application.